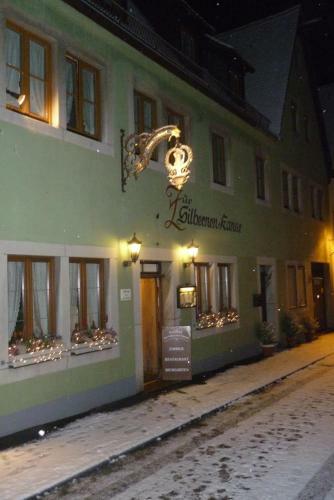 Zur Silbernen Kanne in Rothenburg Upon Tauber is a guest house with 6 Rooms. 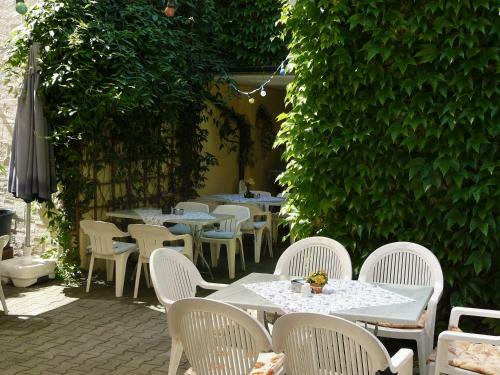 This guest house is located right in the old town of Rothenburg ob der Tauber, surrounded by cafés, restaurants and bakeries. 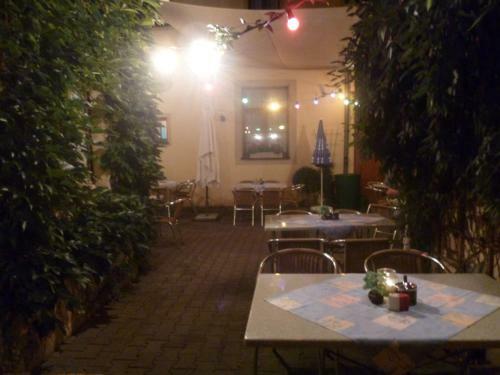 A beer garden serving local beer is right outside the door. 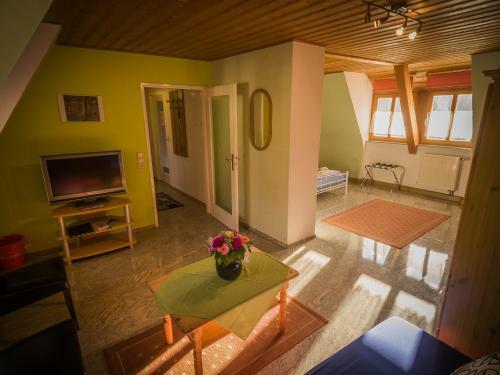 The family-run Gasthof Zur Silbernen Kanne offers quiet rooms in 2 buildings. Each room has cable TV and a private bathroom with shower. WiFi access is available. Breakfast is available in many local cafes and bakeries, within a 1 or 2 minute walk. Parking spaces can be found close to the Gasthof Zur Silbernen Ka...nne, and the A7 motorway is just 2.5 km away. Guests with bicycles can use the Kanne's bicycle garage. 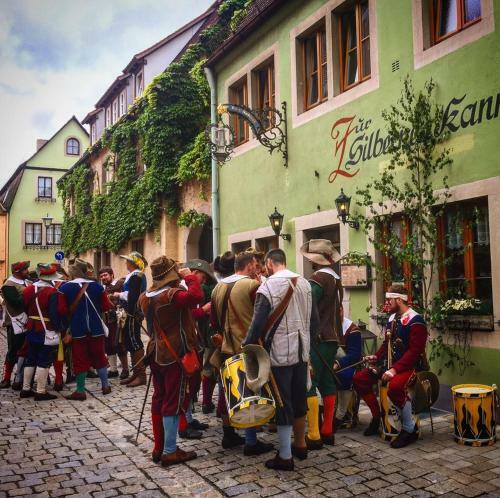 This guest house is located right in the old town of Rothenburg ob der Tauber, surrounded by cafés, restaurants and bakeries. A beer garden serving lo...cal beer is right outside the door. 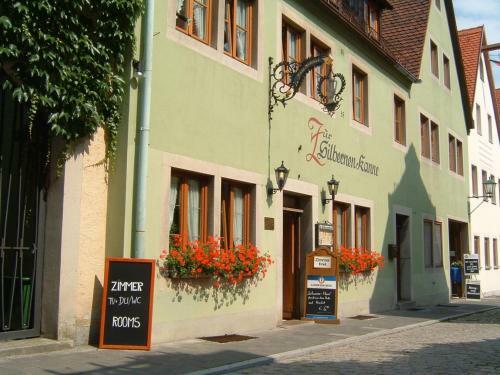 The family-run Gasthof Zur Silbernen Kanne offers quiet rooms in 2 buildings. Each room has cable TV and a private bathroom with shower. WiFi access is available. Breakfast is available in many local cafes and bakeries, within a 1 or 2 minute walk. Parking spaces can be found close to the Gasthof Zur Silbernen Kanne, and the A7 motorway is just 2.5 km away. Guests with bicycles can use the Kanne's bicycle garage. When would you like to stay at Zur Silbernen Kanne? The property does not feature a reception. Therefore the accommodation needs to know your exact time of arrival for check-in. Late or early check-in is only available on request and via key box. Please contact the property one day before arrival for further information. Please note that check-in for last minute bookings is only possible between 18:00 and 19:00. Please contact the property if you cannot check in within these hours. Please note the owners live at the accommodation.